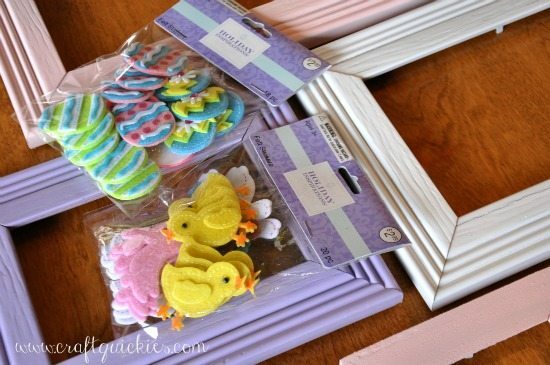 Easter Mantel & Frame Makeovers: Quick and easy decor for your home! 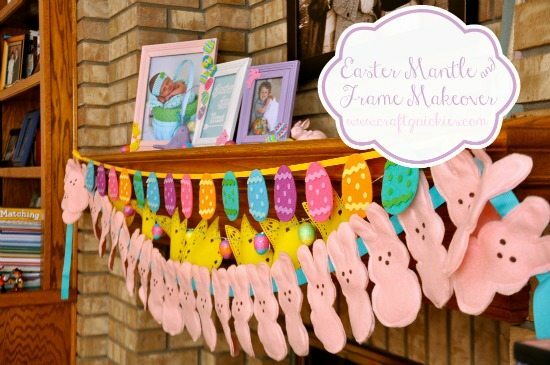 I love this Easter mantel! 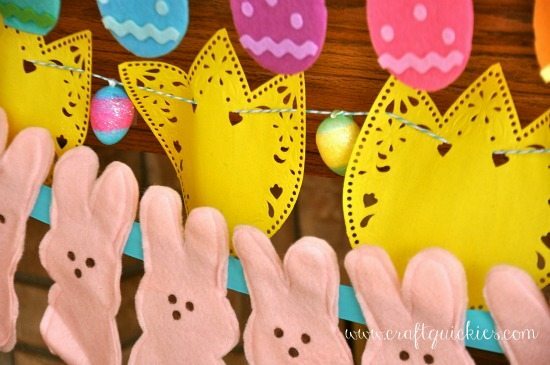 There are lots of great ideas for fun, festive Easter decorations using simple tutorials and techniques. Today I am excited to show you my Easter mantel and explain how it came together. I put it up the other day when it was snowing like crazy outside. It cheered up the house a bit on a dreary day. 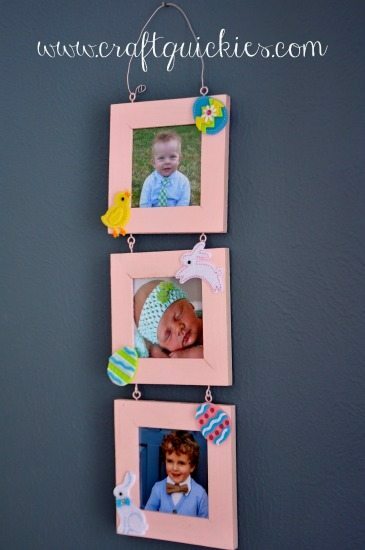 Each piece of it (minus the Peep banner, which I made years ago) was super quick and simple to put together. Once I painted the frames it was time to accessorize. I found these darling Easter felt stickers at Jo-Ann Fabric and Craft Stores. They are sort of amazing. They are also super sticky, so I laid them out and messed around until I loved the layout and then simply stuck them onto the frames. Ta-da! Aren’t they cute?! 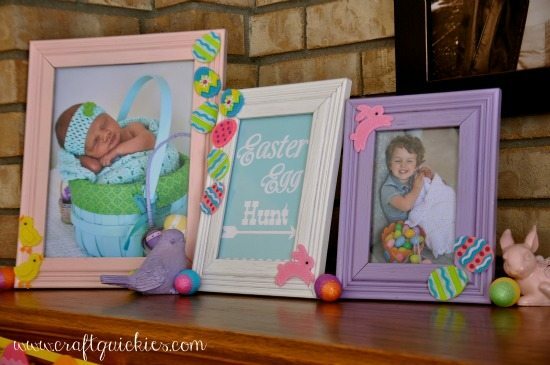 The cute Easter printable is from Kristy over at The Diary of Dave’s Wife. My kiddos and my cute nephew, all taken last Easter. They are growing up too dang quickly! Here is the only banner that I made anew this Easter season: the banner made with tulip doilies. These darling tulip doilies were in a fun grab bag box I got from McKenzie at Girl Loves Glam. She got them at the dollar store. They are too cute! I simply threaded some cute Baker’s Twine through them and then Scotch taped these darling little glittered eggs in between each tulip. I found those cute little eggs at the dollar store as well. Gotta love the dollar store!